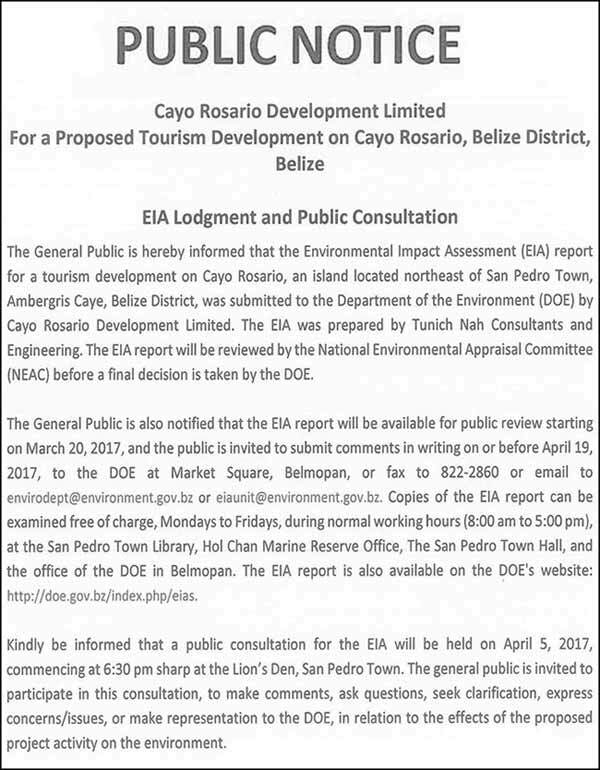 The Environmental Impact Assessment report for a tourism development on Cayo Rosario was submitted to the DOE by Cayo Rosario Development Limited. The EIA report is available for public viewing, and a public consultation for the EIA will be held on April 5, 2017 at 6:30pm at the Lion's Den in San Pedro. They don't quit do they. This Island was the the number one bird tour destination for the tour guides. Persistence against No seems to always win. Guides gave up visiting it when the developers started killing the birds and destroying the nests. Ignant implies that the person knew damn well and chose to act foolish anyway ...people are attracted by our pristine environment but we destroy it to have a place for them to stay in their visit to see it, makes no sense except for the people who want to make the profit and run, ruining the future of the people who live here. Please, Belizeans throw out the politicians that let this happen. 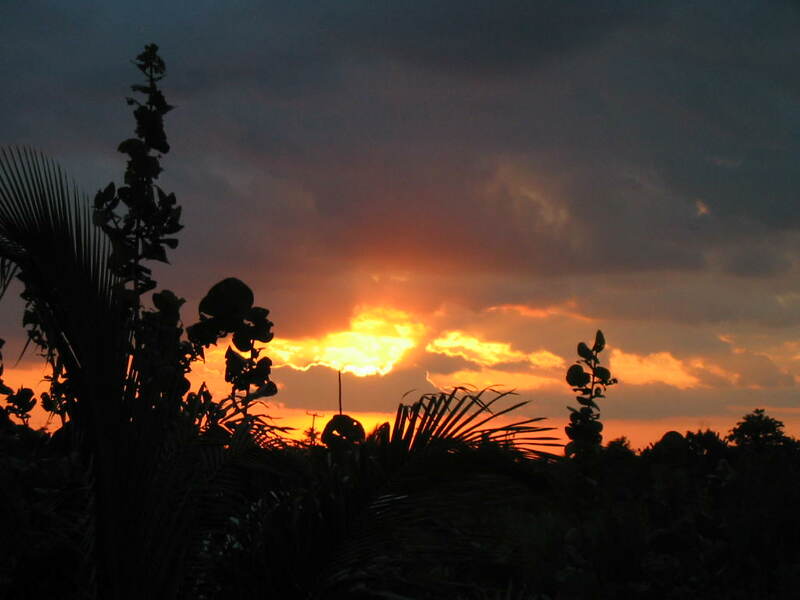 Elect people that care more for our future than a quick payoff. Agree with Elbert on this one. That island should have remained a sanctuary. The name of the "developer" should be enough for anybody to know that this is graft, greed and outrageous in the extreme. And you know how the Public Consultations go. Every one gets together and complains but nothing happens and the developer can then say "We had a Public Consultation" . Matters not the results of the consultation, only scores a point for the developer to say we had one, check it off his list for the permit requirements and move on. Last edited by elbert; 03/29/17 05:39 PM. Don't miss the VERY IMPORTANT public meeting tonight, April 5th at the SP Lions Den. 1 registered members (josephinepalmer), 235 guests, and 15 spiders.